For an eCommerce business, just having an online store launched and running without any errors would not be enough. Generating traffic is something which is very important and challenging at the same time. 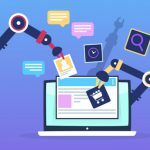 When it comes to generating traffic, these eCommerce social media marketing tips can help you to engage the audience at a great extent. We have a statistical report to prove that. As you can see Facebook has more than 2 billion active users and Instagram has 1 billion active users. Not having social media presence means leaving money on the table. Social media marketing is a very wide term. There may be many different ways of marketing using different social media platforms. Deciding on a right eCommerce social media marketing strategy can be a daunting task. Let’s look into some innovative eCommerce social media marketing tips which can not only help you in increasing revenue but also enable you to communicate with your customers and establish long-term relationships with them. The first step to effective eCommerce social media marketing would be to write persuasive content. How your audience would react to the content can differ from person to person. Some people may like to view your posts frequently but some may get annoyed if that frequency is high. It is important to remain balanced and consistent with posting content on social media. Don’t keep the content too long, otherwise, your audience may not read it. Keep the content precise and use simple language. For example, if you want your audience to read an article you have written, you can create a short synopsis and provide a link to that article on social media platforms. Hashtags play a major role in the conversation. It has become easier for the audience to participate in the discussions relating to their interests because of these hashtags. Twitter – A single well-placed hashtag on a tweet can be more effective than 3-4 randomly placed hashtags. Facebook:- Hashtags are not so effective on this platform. Instagram:- On this platform, your post can get better engagements if a high number of hashtags are used in a single post. The criteria related to hashtags being different for each social media platform, it is important to not treat them the same for all channels. Using hashtags would prove to be beneficial only if they are used in a smart manner. People tend to read trending topics on social media more than other posts. If you raise your voice for something good on trending topics, it would help you to impress your target audience and popularize your brand. For example, if you have a clothing brand, you can comment something informative on the post about the upcoming fashion event being held. This would help your audience in recognizing your brand. When the next time you post your ad showing apparels of your brand, those people already know you and are likely to convert. To stay updated with the latest trends in your industry, you can pay attention to the recent news updates and hashtags on social media platforms. People like infographics these days because it gives them information in the form of an attractive design. Infographic is not something which can advertise your products but yes it advertises your brand in an indirect manner. Infographic being informative, there are many blogs which might want to link back to your informative content. That adds link building advantage your you website and improves SEO. Creating a quality infographic can be an investment, as you will need a research team and designing team to come up with fresh and unique ideas. But, this would be worth the investment as it is likely to improve the traffic to your website. There are many types of videos which are posted on social media websites every day. Some provide how-to-do infomation whereas some may be advertising and entertaining videos. All these videos are posted for a brand popularity and driving relevant traffic to your website. After watching a video about how to use a particular tool you require to buy, and if you like it, probably you would visit its website link and make a purchase online. 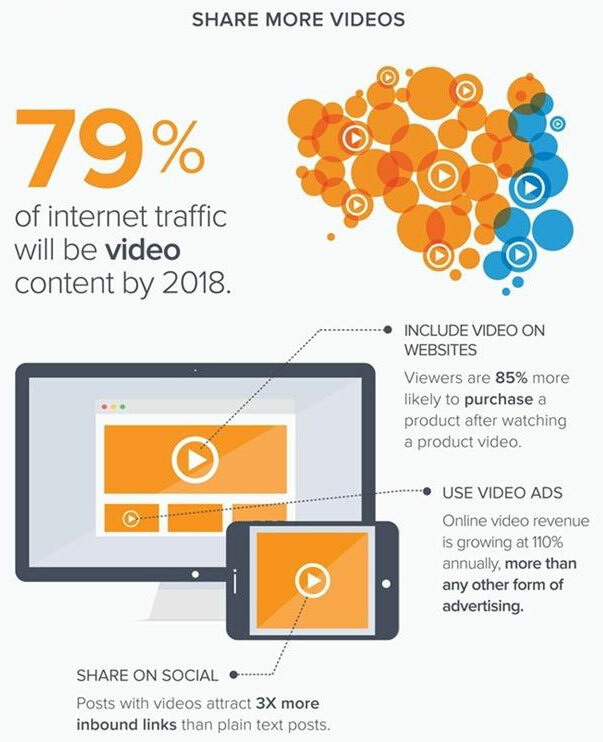 This way videos play a major role in driving the attention of your target audience and convert them into buyers. To keep your social media presence alive, you need to keep on engaging with your audience. When anyone posts a comment on your update or review on a social media platform, it becomes necessary to answer it without any delay. Your answer to that comment should be positive and solving the issue of your visitor. Your promptness in addressing the issue would form a good impression of your brand in the mind of your audience, ultimately helping you to sell more. Selling on Facebook and Instagram has become quite prevalent these days. It doesn’t matter if you have your own online store or selling through marketplaces like Amazon. You can open up your store on Facebook and Instagram to target social media users too. Just remember that your audience is not on social media platforms to buy. They are here for socializing. But, you can tempt people by showcasing your products on Facebook and Instagram in an attractive manner and gain conversions. For more information on the Facebook store, you can go through – The Marketer’s Guide to Facebook Marketplace. For the Instagram store, very soon we would come up with interesting information on tips to set up and maintain an Instagram store. There are many online communities within Facebook and Linkedin known as groups. The groups consist of members who are together due to mutual business, industry or interests. You can try being a member of the groups relevant to your industry or start your own group. Initiate the group conversation pertaining to your business and also be part of the conversations initiated by other members. This would help you engage your audience with your brand and improve its popularity. Facebook remarketing is a technique which helps you in reminding the Facebook users about the products they have viewed on your online store but not purchased. 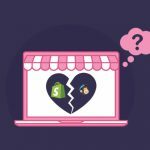 Remarketing for eCommerce is an awesome way to bring back those customers to your store who have abandoned the cart due to some reasons. To know more about the effectiveness of Facebook remarketing, you can go through – The Incredible Power of Remarketing Ads for eCommerce Business. To create brand awareness, many online businesses are collaborating with influencers on social media platforms. Influencers are personalities who recommend the audience to buy your product. People are likely to buy a product which is recommended by someone whom they can relate to. It is not at all necessary to tie up with renowned personalities for executing your influencer campaign. As per a recent marketing survey, 70% of millennial consumers are influenced by the recommendations of their peers in buying decisions. Thus, the influencer campaign can be quite effective and prove to be an excellent marketing strategy for your eCommerce business. To bring out the best from your eCommerce social media marketing strategy for eCommerce business, it is very much necessary to understand and engage with your target audience. 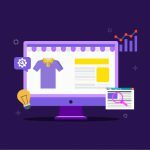 When so many eCommerce stores are using social media as a tool to market their business, it becomes mandatory to think out of the box and stay unique in your ideas of impressing people. Post unique content which is also informative, engaging and entertaining, enabling you to build strong and long-lasting relationships with your clients.